If you’ve ever used Apple AirPlay® to wirelessly connect your Macbook®, iPhone® or iPad® to an AppleTV®, then you’ll feel right at home using Lifesize Share’s native AirPlay integration — but, unlike an AppleTV, Lifesize Share™ doesn’t restrict connectivity to just Apple devices. There’s always been an unspoken tug-of-war between Mac users and PC users around the office. While marketing teams and designers tend to skew toward Mac, many finance, accounting and manufacturing professionals prefer PCs for their day-to-day operations. Screen Share_1 Lifesize Share platform adds new meeting room automation, whiteboard capture and digital signage enhancements. With Lifesize Share, you can use whatever device you feel comfortable with to begin wirelessly screen sharing on the big screen. Since many offices are equipped with Apple TVs, Lifesize Share ensures that the next time you need to set up an Apple TV video conference call, you'll be able to connect with an Android device, alongside any Apple devices. 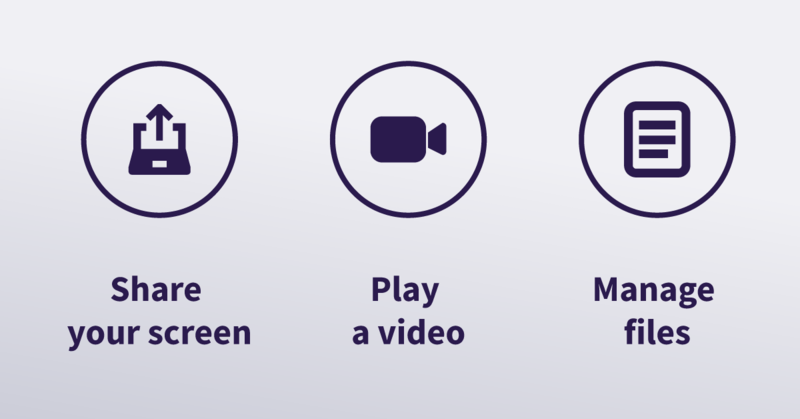 Through your office’s wireless network, you can share presentations, videos, and content without a cable or dongle. For most businesses, a healthy mix of Mac, PC and “other” tends to be the most effective solution — which is why it’s so critical to have a platform-agnostic solution for screen sharing in the meeting room.For most businesses, a healthy mix of Mac, PC and “other” tends to be the most effective solution — which is why it’s so critical to have a platform-agnostic solution for screen sharing in the meeting room. Historically, supporting multiple operating systems has required companies to adopt dongle policies for meeting room connectivity. 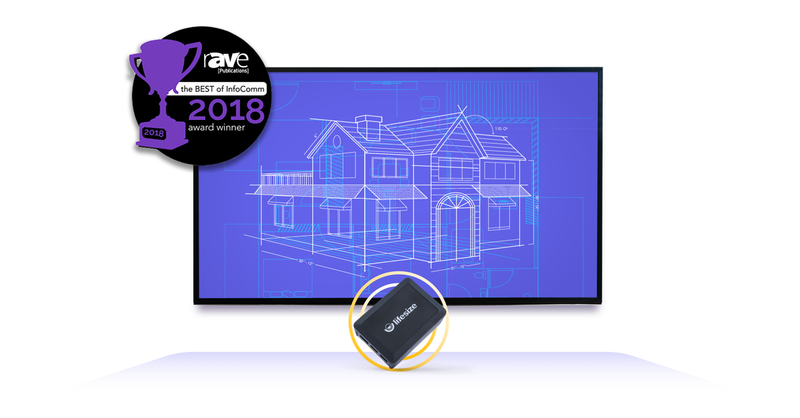 On one extreme, older PC models only support VGA-out, requiring an HDMI to VGA adapter to connect to a modern meeting room display. On the other end, new Macbooks are standardizing around Thunderbolt™ 3, and who knows what next year’s models will use. The answer isn’t in keeping up with the latest and greatest dongle; it’s enabling BYOD policies through wireless screen sharing. 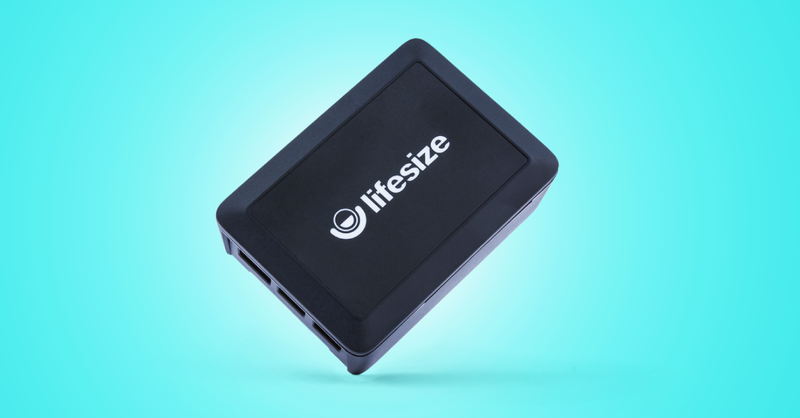 Whichever operating system you keep in your pocket or on your desk, you’ll be happy to know you can wirelessly connect in the meeting room with Lifesize Share. If you’re an Apple enthusiast, enjoy our integration with Apple AirPlay, and if you’re a PC purist, enjoy the flexibility of all of the different ways you can connect to Lifesize Share using your web browser. Interested? Buy now on Amazon.